LET US BRING YOUR FLOORING VISION TO LIFE! Our Flooring Process is Simple. Our Pricing is REAL. We offer a free in-home consultation with one of our design experts to make sure we are aligned with your individual flooring dream. We want to make sure we know exactly what you want and what your specifications are. We will provide your turn-key quote up front with our lowest price guaranteed! Get a free in-home design consultation and same day price estimate. Enjoy 0% financing for one full year with no interest! Curious to learn more about our flooring options or installation services? Don’t hesitate to get in touch with us! We hope we’ve helped you to make a decision on the right flooring material for your upcoming project. Regardless of the material you choose, there’s only one company to call when it’s time to install. Count on First Quality Interiors for your next flooring project. Get in touch with us to get started — you can even schedule a free floor size measuring and consultation right here online! Also, feel free to explore our carpet, hardwood, and laminate flooring options! Longevity: Laminate flooring is undeniably long-lasting. Compared to hardwood flooring, laminate flooring is less likely to get scratched or dinged and will not suffer any water damage. That said, laminate flooring isn’t impervious (more on this unfortunate truth below). Laminate floors can last for decades on end. Plus, cleaning your laminate flooring is a breeze — just use a broom, or grab a mop for a deeper clean. Affordability: If the price tag of your next flooring project is your greatest concern, then laminate flooring is the way to go. 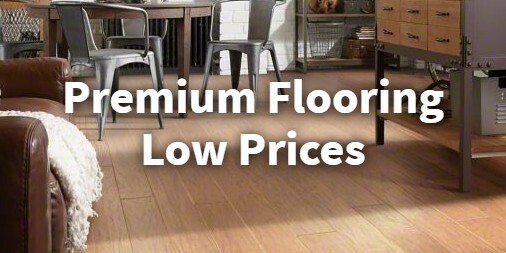 For most laminate flooring products, you will pay half of what you would for hardwood floors. 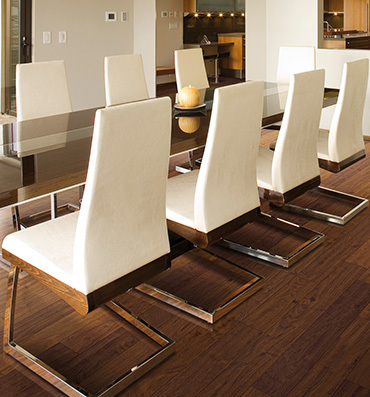 Aesthetics: We’ll say it again, laminate flooring has come a long way since its dawn in the early 1900s. While laminates used to have quirky patterns and odd colors, times have changed. Nowadays, you can find laminate flooring that is textured, colored, and patterned to your desires. Plus, you may not even be able to tell the difference between a laminate floor and a true hardwood or tile floor. Our Vast Catalog: We’ve selected premium laminate flooring options from highly respected and experienced flooring providers. Plus, since we’ve partnered with our flooring providers, we can provide unparalleled pricing on our flooring installs and flooring materials. Find the perfect material for your home, and get started today!